Parademon was once a member of Darkseid's Parademon group, but went rogue. 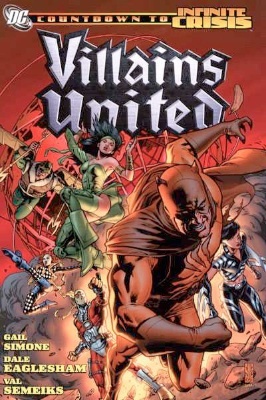 Later, Parademon joined the Secret Six, until his death at the end of the Villains United storyline. The Parademons are Darkseid's police force used to keep order in Apokolips. They are extremely loyal but not very smart. Parademons use jets to fly and devastating weapons to keep citizens in line. While weak on their own, Parademons are deadly in large groups. Parallax is an alien parasite capable of taking over a person's body, turning them evil. For billions of years, Parallax lay dormant inside the planet Oa's Central Power Battery. Parallax is also the reason why the Green Lantern's power was useless against things colored yellow. 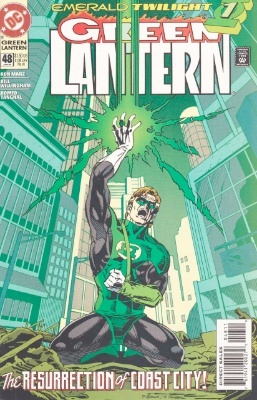 Hal Jordan, a Green Lantern, was the first host of Parallax, causing him to destroy the Green Lantern Corps and most of the Guardians of the Universe. Later, Parallax takes over Kyle Rayner, the Flash, and the Scarlett Speedster. Parasite is a super villain with the ability to absorb the energy, knowledge and super powers of anyone just by touching them. Raymond Jensen was a custodian who was exposed to extraterrestrial chemicals while looking to steal from his employer's payroll department. 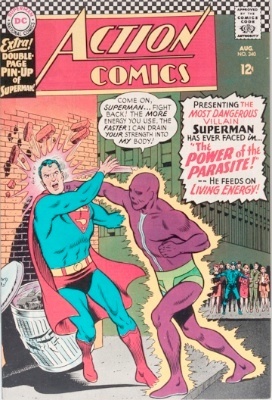 The exposure transformed him into a purple-skinned monster with powerful parasitic abilities. 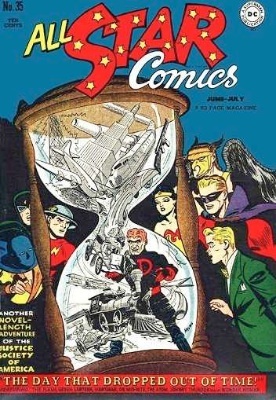 Parasite was one of the villains to participate in the DC / Marvel crossover. 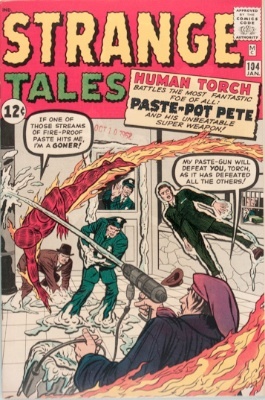 Paste-Pot Pete was a villain who used a costume equipped with dozens of pastes and lubricants to help in escape and espionage. Paste-Pot Pete also used adhesive boots to walk up walls, and a gun that shot glue. He originally came under fire after attempting to sell an advanced missile to the Soviets. 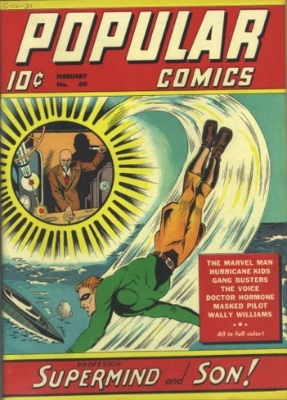 He was stopped by the Human Torch, but escaped by gluing himself to an airplane wing. Later, Paste-Pot changes his name to Trapster. When Lashawna Baez was attempting to donate a kidney to her father, the procedure activated a latent gene, causing her to teleport every time she was touched. Using the alias Peek-A-Boo, Leshawan uses her powers to attempt to find a kidney for her father, but instead nearly kills a surgeon. 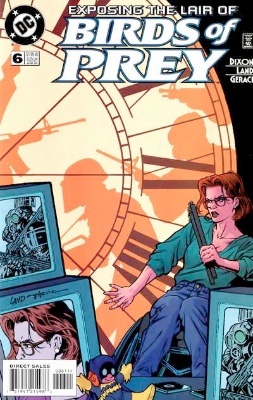 Later, after her father dies, she gives herself up to the Flash. Oswald Cobblepot was a bullied young child whose only friends were birds. Turning to a life of crime to take out his frustration and earn money, he becomes the Penguin and kills a Gotham City crime lord using the world's first .45 caliber umbrella gun. The Penguin has been a persistent and cunning enemy of Batman and Robin, and unlike most other villains, the Penguin is quite sane. He possesses genius-level intellect and the ability to formulate elaborate schemes, but usual employs henchmen to carry out his plans. The Penguin's trademark umbrella is a result of his mother's incessant nagging that he endured as a child. It is capable of becoming a number of weapons, and has often been used as a means of escape. 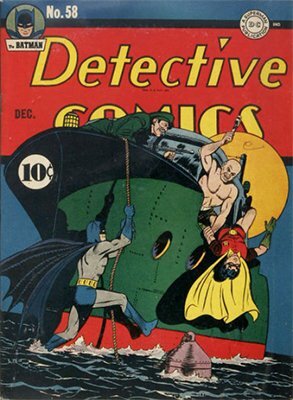 See our article on Batman vs Penguin comic books for more price guides. Sell your comic books for immediate cash! 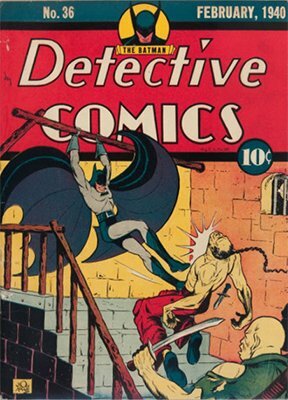 Penny Plunderer is a Golden Age comic villain and enemy of Batman. Penny Plunderer is obsessed with pennies. She uses a giant penny to trap Batman and Robin. After Penny's defeat, Batman keeps the giant penny as a memento. Per Degaton is a time-traveling mastermind. He menaced what used to be called "Earth Two" for years, and continues to do so in whatever Earth the DC Comics Universe has foisted upon its readers since then. 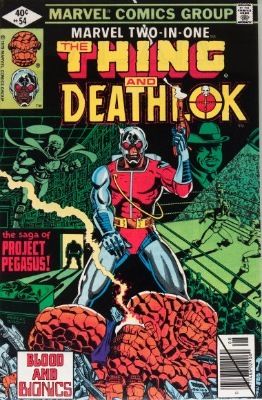 A longtime enemy of the Justice Society, Per Degaton killed himself in the 1980s, but was inevitably resurrected. Persuader, born Nyeun Chun Ti, is a villain and former member of the Legion of Super-Heroes. 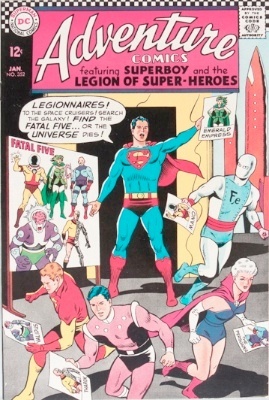 Later, he turns on the legion and forms the Fatal Five. The Persuader wielded an atomic axe, capable of cutting through literally anything, including a person's air supply, gravity, and the separation between dimensions. 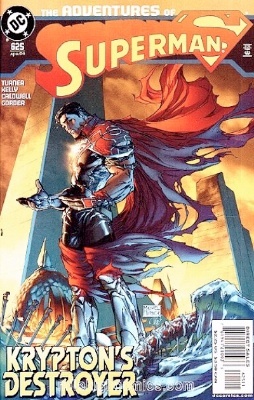 Recently, Persuader was a member of Superboy-Prime's Legion of Super-Villains. Phantom Lady was Sandra Knight, daughter of a US Senator. She had no super-powers except for her skimpy costume and more-than-evident pulchritude, which was eventually explained as a way to distract male adversaries. She had a "black-light projector" which blinded her enemies and rendered her invisible to them. Her car also came equipped with black-light projecting headlights. Over time, as the character was acquired by Fox Feature syndicate, her costume became even more skimpy, with cleavage the order of the day. The later, more provocative incarnation of Phantom Lady was a factor in Wertham's Seduction of the Innocent. 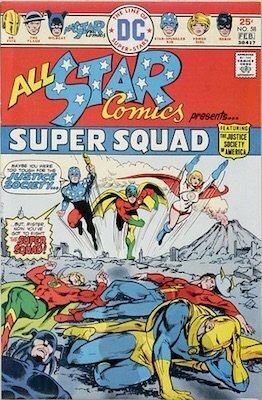 The character changed hands many times, eventually landing at DC, where Roy Thomas retconned her into the All-Star Squadron. 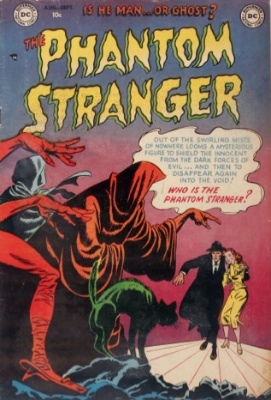 The Phantom Stranger is a mystical individual with no specific origin, although several have been proposed. He first appeared as a sort of supernatural hoax debunker, appearing at the right time to explain away supernatural phenomena to puzzled ordinary people. Later, he gained unspecified powers and played an active role in stopping villains. 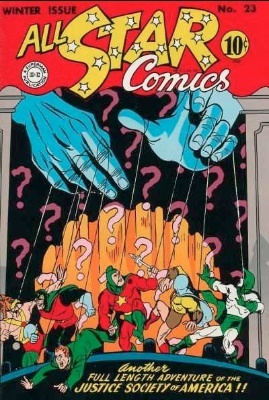 He is connected to most of the other mystical characters in the DC universe (especially The Spectre), but remains a mystery to this day. When Nathanial Richards, AKA Kang the Conqueror, travelled from the 30th Century to Ancient Egypt, he established himself as an all-powerful pharaoh. 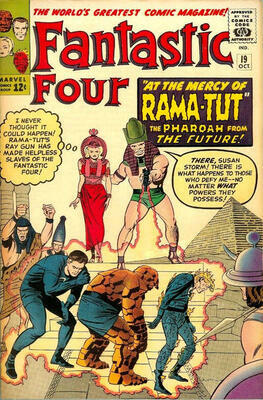 Rama Tut ruled over Egypt for a number of years, until the Fantastic Four, time travelling themselves, put an end to his tyranny. Fleeing Egypt and escaping in his time machine, Rama Tut went on to become the conqueror of many time periods and planets. Pharzoof is a parademon from Apokolips. While on Earth, he began formulating plans to conquer Apokolips. 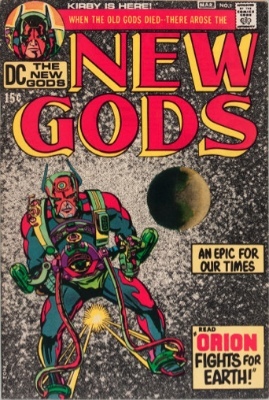 Using a Mother Box, he sent many of Earth's villains to Apokolips to help him overthrow Darkseid. Pharzoof's plan was quickly thwarted, when his super villain allies leave him, and he is left to deal with Apokolips' army. During a space mission with the X-Men, Jean Grey is left with no choice but to pilot their failing ship back to Earth. After prolonged exposure to radiation, Jean slowly begins dying. Desperately, she uses her telepathic powers to plead to the forces of the universe to aid her and her friends. Answering her call is the Phoenix Force. The Phoenix Force wraps Jean Grey's body into a healing cocoon and she slowly sinks to the bottom of the ocean. The Phoenix Force then creates a clone of Jean Grey and the cosmic entity inhabits this body. Emerging from the wreckage, the Jean Grey clone tells her X-Men teammates that she is "Phoenix". Phoenix has god-like powers, and she can disintegrate or move matter, teleport, fly, resurrect after being killed, and her telepathic powers are far beyond any other mutants. Hartley Rathaway was born deaf, but was later cured by Dr. Magnus. Becoming obsessed with sound, Rathaway learned how to hypnotize and kill with sound vibrations and sonic technology. Joining the Rogues, Rathaway became Pied Piper, using his sonic technology for a life of crime. 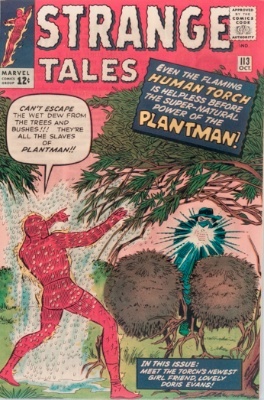 Before Samuel Smithers became Plantman in Strange Tales #113, he was a poor orphan working for a biologist studying the intelligence of plants. After a freak lightning storm strikes Smithers' plant-studying device, he develops the ability to communicate with plants. Using his new powers, he begins taking revenge on everyone that ever wronged him, including the Human Torch. 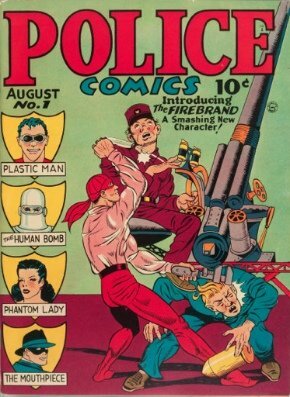 Plastic Man was an orphan named Patrick "Eel" O'Brian, who grew up into a crook. In the midst of cracking a safe at a chemical plant with his gang, "Eel" was shot by a night watchman and doused with a vat of mysterious chemicals. The gang abandoned him to his fate, but he managed to escape. Dazed and delirious, he wandered, eventually being rescued and nursed back to health by a monk in a mountain retreat. He finds, during convalescence, that his body has been changed, and he now has all the powers of rubber. He can stretch and twist and transform his body into any shape. He decides to use his powers for good and becomes Plastic Man, a durable hero who was acquired by DC Comics after Quality folded. As a college student, Pamela Isley was experimented upon by a botany professor who injected her with strange poisons and toxins. Surviving the experiments, she is imbued with the ability to control plants, seduce others, and kill with a kiss. However, she is extremely unstable, and suffers from extreme mood swings and bouts of insanity. 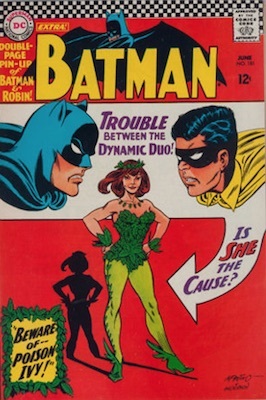 Poison Ivy uses her powers to embark on a life of crime, but she is secretly in love with Batman. Click to see our female super-villains comic book price guide. Alexander Gentry was developing weapons for the US Army, when he built a battle suit modeled after a porcupine. Instead of selling his invention, he uses it for himself to get rich from a career as a criminal. 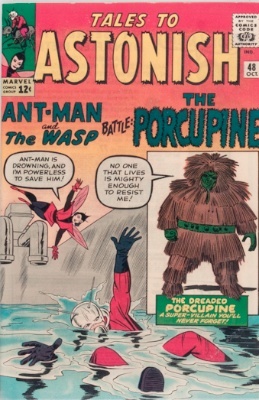 After beings stopped during a bank robbery by Ant-Man, Porcupine joins Count Nefaria. Later, Porcupine attempts to redeem himself and dies while helping the Avengers. Charles Little Sky is a Native American with the ability to travel between dimensions, thus spawning the name Portal. After fleeing his home, Portal traveled through different dimensions for several years. 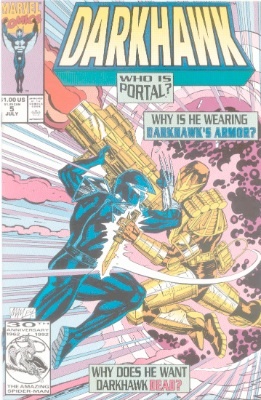 Finally, when he returned to Earth, he became an ally of Darkhawk and has since helped superheroes like Spider-Man on numerous occasions. Poundcakes is a member of the female wrestling team the Grapplers. Most of her time is spent stealing weapons and serving as an arms dealer. She comes into conflict with the Avengers several times over the years. Power Girl is, in essence, the Earth-Two version of Supergirl. She is Kal-L's first cousin, and was sent from Krypton in a space ship just like his, but which took longer to reach earth. She has all the same powers that any Kryptonian has on a planet with a yellow sun: super-strength, flight, super-speed, heat vision, super-breath, x-ray vision, and so on. She is also, as a Kryptonian, vulnerable to kryptonite's effects. She used the earthly alias Karen Starr, and was a latter-day member of the JSA. After the Crisis on Infinite Earths, her origin was changed, but she remains an active hero after several other reboots and retcons. 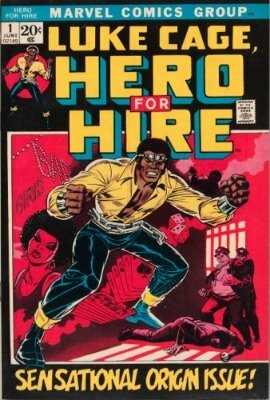 Power Man is the alter ego of Luke Cage. Originally, Luke was a street criminal in Harlem, but changed his ways after several betrayals and time in prison. While undergoing experimental cell regeneration, Luke is endowed with superhuman strength, healing factor, and becomes nearly indestructible. 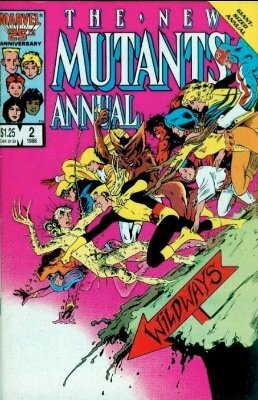 Later, as Power Man, Luke partners with Iron Fist, the Avengers, and the X-Men. Prankster is a super-villain foe of Superman who uses jokes and gags to commit crimes. In his first crime, he forces bank employees to steal the money, and even throws money out to people on the street. Later, in a bizarre prank, Prankster somehow copyrights the entire English language, demanding payment any time someone writes something. Eventually, Superman puts his scheme to an end. Top 20 surprisingly valuable Modern Age comic books! For hundreds of years, Sergeant Preus was a member of the Citizen's Patrol Corps, a police force in the city of Kandor on the planet Krypton. However, Preus was a xenophobe with a deep hatred of anyone that wasn't a Kryptonian. When the evil alien Lyla brainwashed the people of Kandor into believing Superman killed several of their citizens, Preus swore vengeance against the Man of Steel. 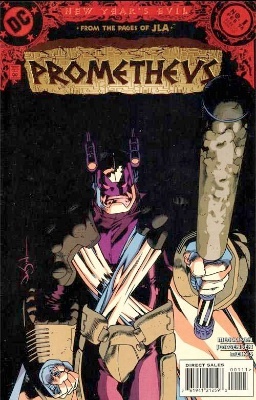 However, after a short battle with Superman and the appearance of Gog, Preus hasn't been seen since. Hugo Strange is one of Batman's oldest enemies, preceding both the Joker and Catwoman. Strange is a genius in several areas, including chemistry, biology, and psychology. Strange uses his intellect to his advantage, creating several potions and gases, controlling weather, and turning people in monster-like zombies. Anthony Ivo was obsessed with death and avoiding it. His fear of dying led him to develop Amazo, an android that can steal super powers, in hopes that he'll discover the path to immortality. Later, Ivo finally discovers an immortality serum. However, after drinking it, he is transformed into a scaly disfigured monster. Professor Supermind was really a genius inventor named Professor Warren. He developed a machine that would give a human being the power to generate electricity, giving the user super-strength, speed, and invulnerability, as well as the ability to fly and generate force fields. 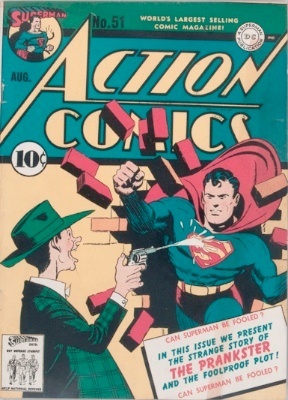 He used the machine on his son, Dan, who dressed up in a red-and-blue outfit a bit too much like Superman's for comfort (at least on the covers – inside each issue, his outfit was inexplicably yellow and green) as Supermind, and fought crime for 11 issues before fading into obscurity and avoiding a lawsuit from DC. 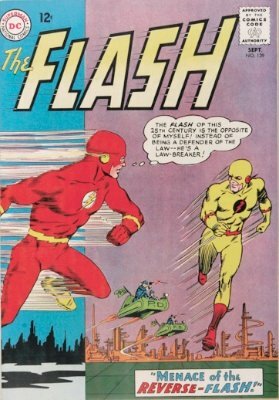 Eobard Thawne has gone by many names over the years, including Reverse Flash and Professor Zoom. 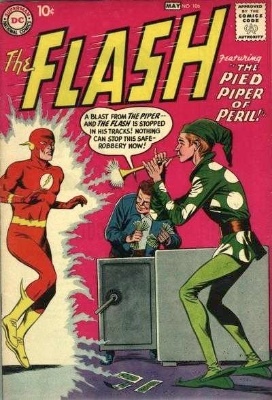 He is the antithesis of the Flash. Thawne was born in the 25th Century and traveled through time to meet his idol, the Flash. However, when he arrived, he found that Barry Allen had died and that he himself was to become the villain Professor Zoom. Driven insane by temporal distortion and his own predetermined fate, Thawne becomes Professor Zoom and begins a lengthy battle with the Flash that spans across time. 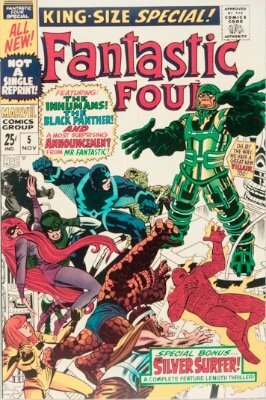 See our Top 20 Silver Age comic books by value. Curt Calhoun was the first person to take up the Promethus name. He was a small-time criminal working for Doctor Alchemy. Later, during an accident, Calhoun is covered with metal laced with promethium, creating a metallic shell around his body. 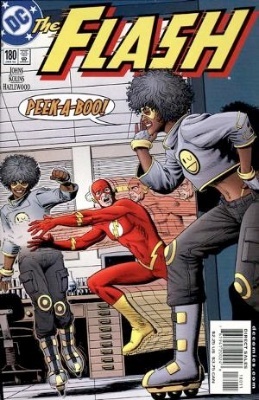 Afterwards, Calhoun teams up with Hybrid in an attempt to defeat the New Teen Titans. The second and most well-known Prometheus was the son of two murderers. 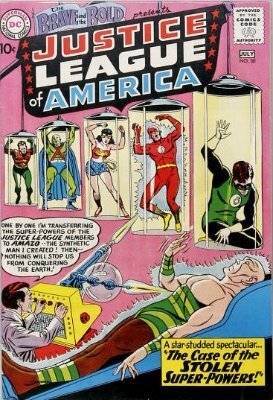 Following his parents' death, he goes on to become a world-renowned mercenary with the goal of eliminating all forms of justice in the world, including the JLA. After discovering access to "The Ghost Zone", a completely empty space of time, he builds his headquarters here, safe from superheroes. 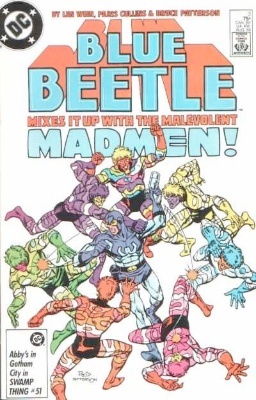 Psycho-Man is the leader of several worlds in the Microverse, a universe of incredibly small planets and beings. Hoping to find a new place to live in the Marvel Macroverse, Psycho-Man begins enslaving humans through mind control, in hopes of taking over the world. 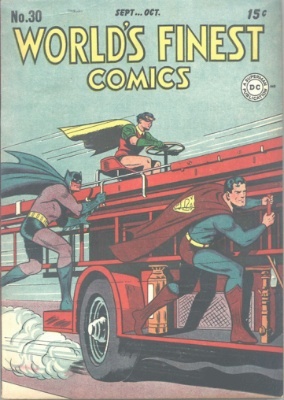 The world's rarest comic books... Do YOU own one? Charles Halstead is a criminal master-mind who uses the alias Psycho-Pirate. Halstead, an employee at the Daily Courier, dissatisfied with his working conditions, begins a series of crimes targeting the Daily Courier and the Justice Society of America. Halstead dies in jail many years later. Another Psycho-Pirate, Roger Hayden, appears in Showcase #56. Psylocke is Betsy Braddock, twin sister of Brian Braddock, otherwise known as Captain Britain. Psylocke is a mutant with telepathic, telekinetic, and precognitive abilities, among other powers. 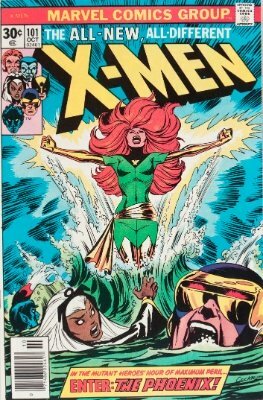 After making the move from Marvel UK to Marvel USA in 1986, she became a member of the X-Men. 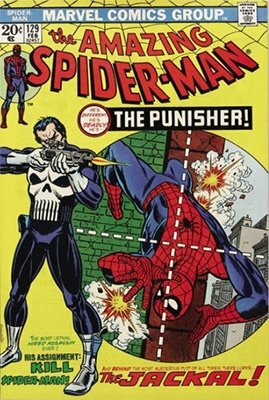 The Punisher first appeared as a violent vigilante, who had no problem killing criminals. He was portrayed as a master marksman and a top-notch strategist, and intended to kill Spider-Man for what he perceived as the murder of Norman Osborn, the Green Goblin. Eventually, some details of his origin were revealed: he had lost his wife and children to violent crime, and was obsessed with revenge. He is in excellent physical condition, has undergone special-forces training, is well-versed in commando tactics, is trained in demolitions, and has an exceptionally high pain tolerance. 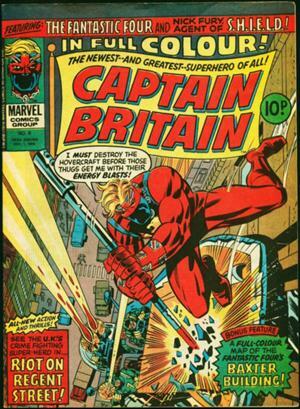 He remains a prominent part of the Marvel universe. Phillip Masters, AKA the Puppet Master, is an insane scientist who uses radioactive clay to make puppets of people that he can control. 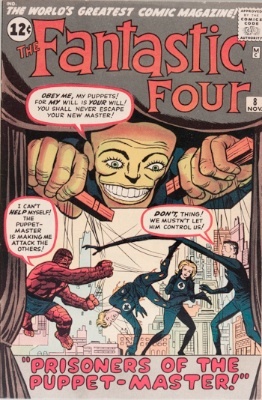 Over the years, the Puppet Master has teamed up with several of the big super-villain names in hopes of crushing the Avengers and the Fantastic Four. Because of the Thing's romantic feelings for his stepdaughter, Alicia Masters, the Puppet Master often works towards killing him. 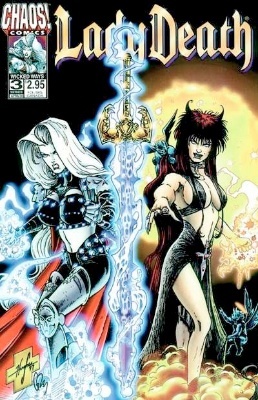 Purgatori is a vampire goddess who appears in the Evil Ernie comics. Purgatori's ultimate goal is to feast on Lady Death's blood in order to gain her powers. 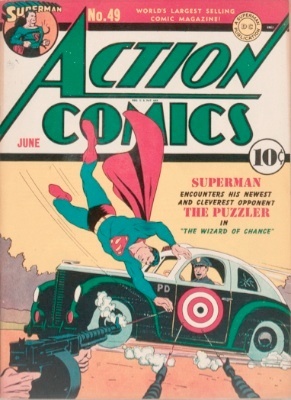 The Puzzler was a minor criminal and enemy of Superman. He is highly skilled at card games and runs a small crime ring. Several years later, a different Puzzler appears as a character made of puzzle pieces.